This listing is for four ribbon covered hairclips. 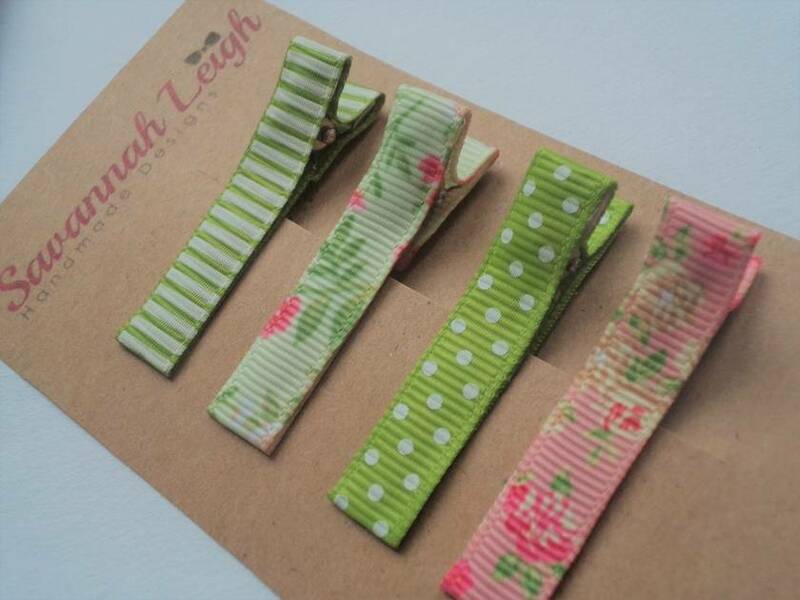 With this combination of bright prints, these clips make great accessories for your little girl! 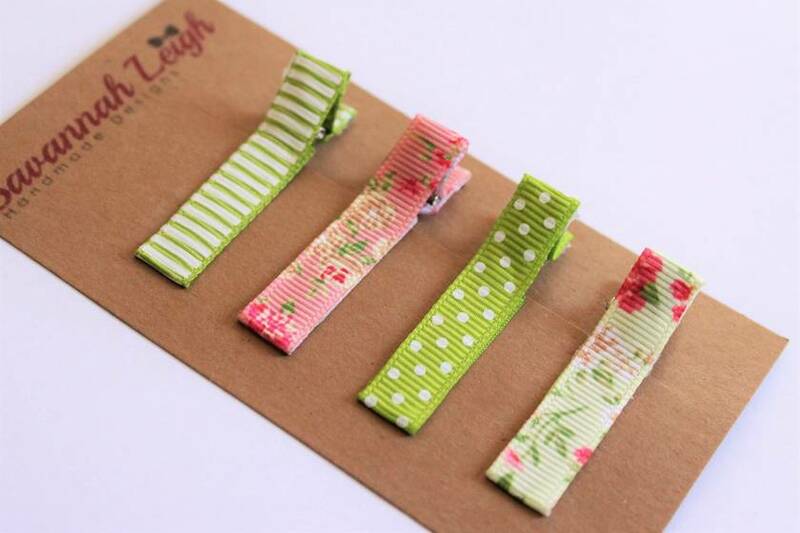 ~These cute hairclips are made from colourful printed grosgrain ribbon. ~They are of course handmade with plenty of love and care. ~Well suited for young girls on occasions or everyday wear. ~Made with ribbon covered metal alligator clips. Thanks for looking and/or shopping! Contact savannah-leigh to enquire about payment or shipping options.